We are pleased to announce the new HF/ VHF/ UHF All Mode Portable Transceiver – FT-818. The new FT-818 incorporates all the attractive features of the ever-popular FT-817ND while providing upgrades desired by many existing owners. The FT-818 provides 6W of solid output power with an external DC power source. The supplied Ni-MH battery pack (SBR-32MH) has been upgraded to now provide larger battery capacity – 9.6v/ 1900mAh. The recent launch of several new satellites is a certain indicator that the large global community of satellite enthusiast are going to be very delighted to learn that the FT-818 includes a Built-in TCXO-9 oscillator that gives the FT-818 fantastic frequency stability (±0.5ppm). 5MHz band (WRC-15 frequency) is also available with the new FT-818. 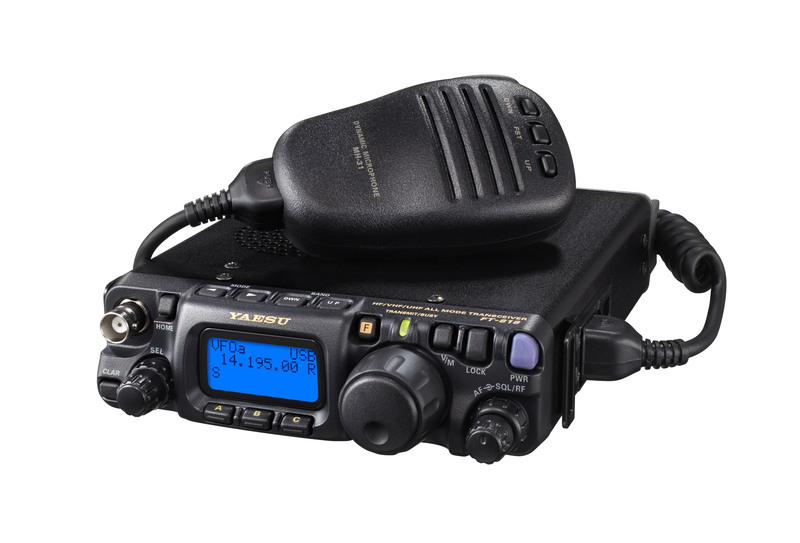 The FT-818 includes all the functions that are included in the FT-817ND: Dual VFOs; Split-Frequency operation; IF Shift; Clarifier “R.I.T”; IF Noise Blanker; RF Gain and Squelch control; IPO (Intercept Point Optimization); AM Aircraft reception; AM and FM Broadcast reception; VOX; Built-in Electronic Keyer; Adjustable CW Pitch; Automatic Repeater Shift (ARS); Built-in CTCSS Encoder/ Decoders; 208 memory channels with 10 memory groups; two antenna connectors; Automatic Power-Off (APO) and Time-Out-Timer(TOT) functions; and so on. For any further details, please refer to the attached sheet. The introduction of the FT-818 naturally means that we will be discontinuing the production of the FT-817ND. We sincerely appreciate your long-term commitment to the FT-817ND, which made it such a steady seller for so many years. With the new upgrades, the new FT-818 is guaranteed to continue the success of the FT-817.